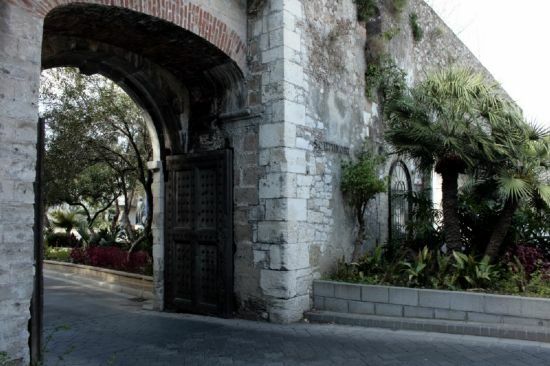 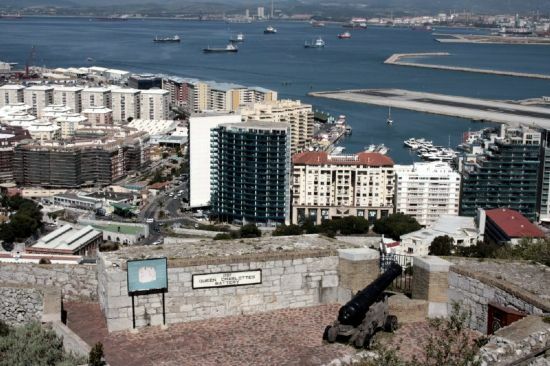 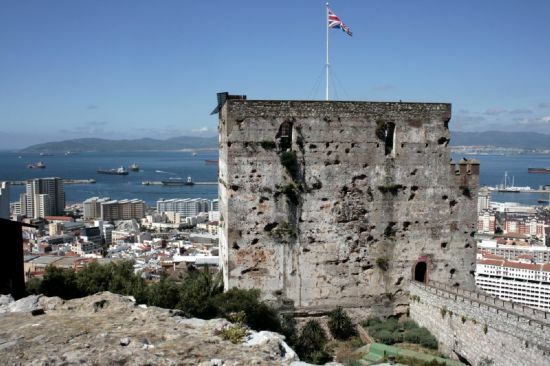 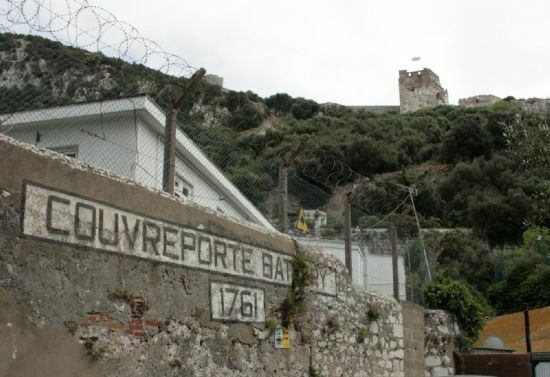 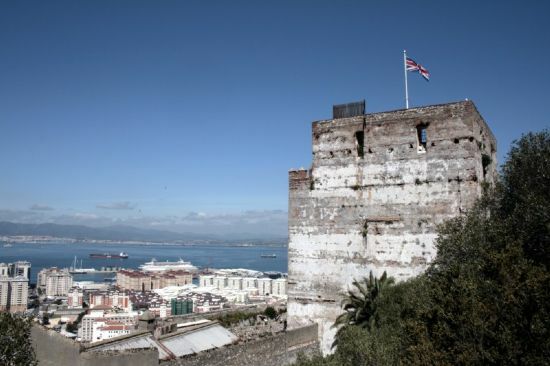 LAND PORT GATE ORIGINALLY THE ONLY WAY INTO GIBRALTAR OTHER THAN BY SEA. LANDPORT WAS REBUILT IN 1727 AFTER BEING THE SCENE OF BITTER FIGHTING IN THIRTEEN SIEGES. 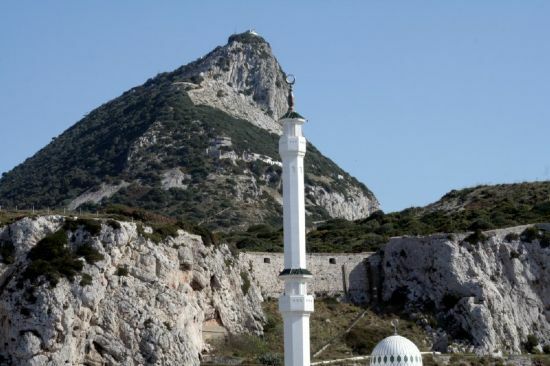 FIRST BUILT IN 1160 OR EARLIER. REBUILT ABOUT 1333AD BY THE MOOR ABU`L HASSAN.THEN LATER HELD BY THE SPANISH.1540 IT WAS SANCTUARY AGAINST TURKISH PIRATES. 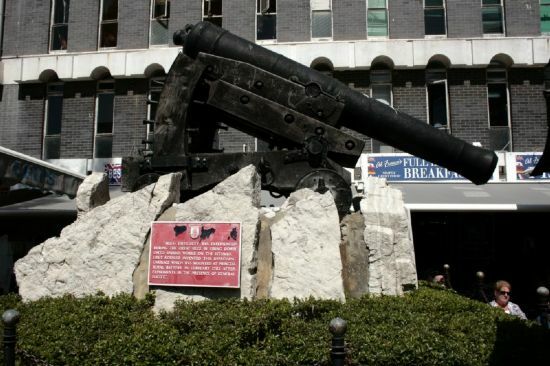 IT PROUDLY DISPLAYS ITS BATTLE SCARS FROM ALL THE SIEGES. 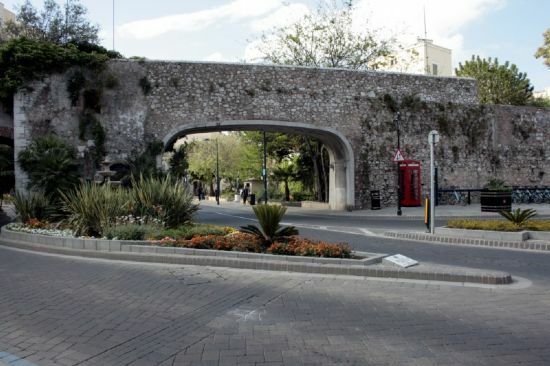 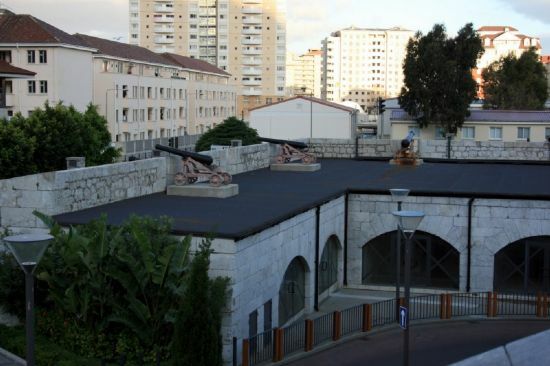 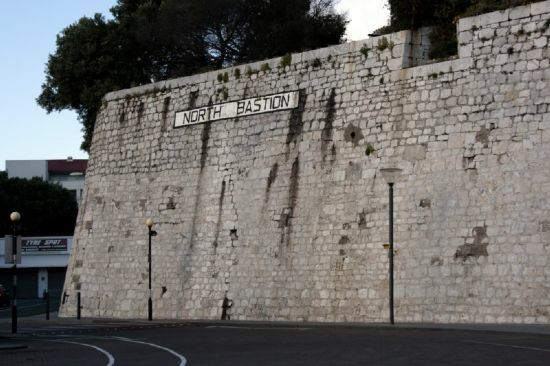 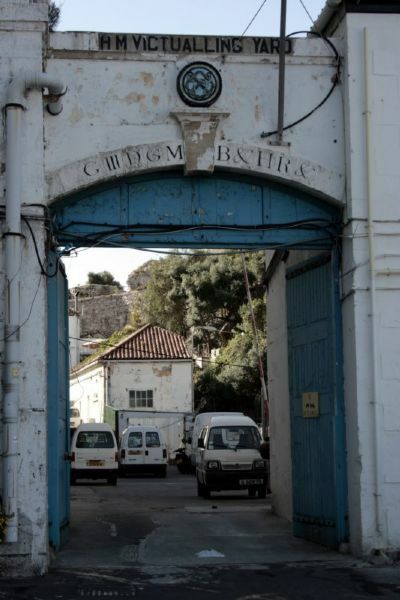 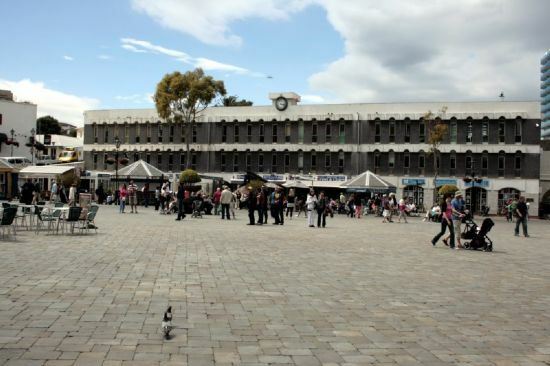 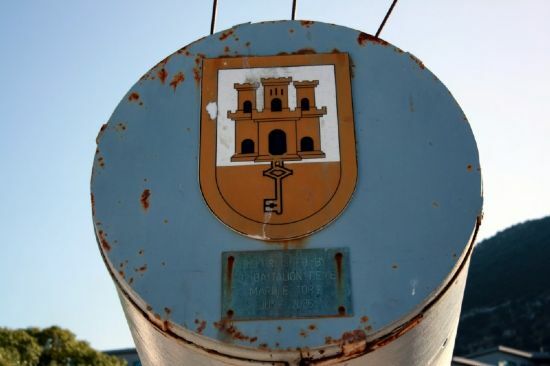 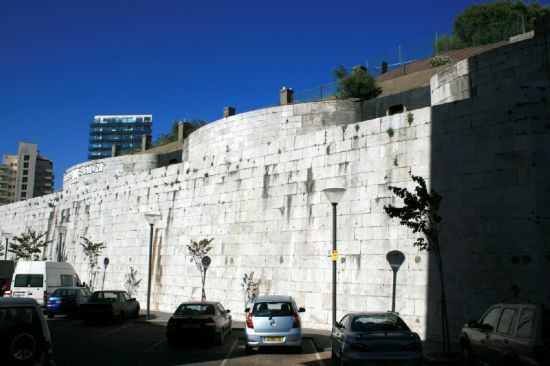 CASEMATES SQUARE, NAMED AFTER THE BRITISH BARRACKS AT NORTH OF SQUARE. 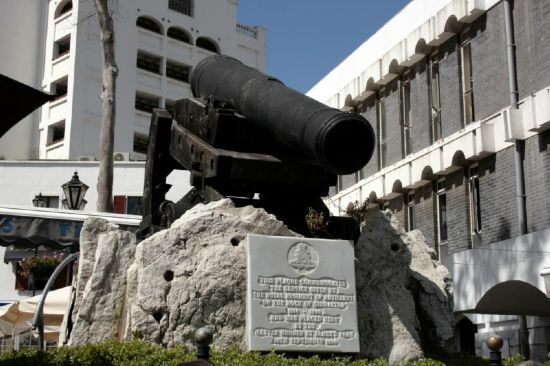 COMMERCIAL AND SOCIAL AREA WAS SITE OF PUBLIC EXECUTIONS AND CONTAINS REMAINS OF MOORISH GALLEY HOUSE. 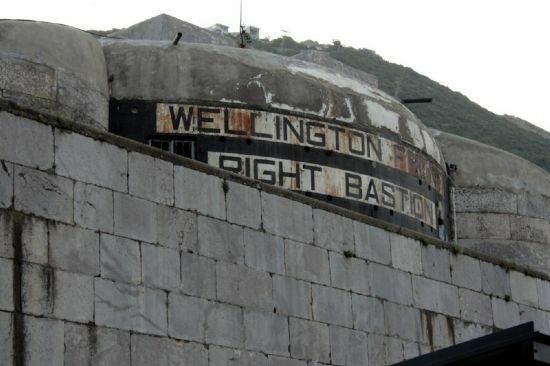 WELLINGTON FRONT WAS BUILT IN 1840 BY CONVICT LABOUR FROM PRISON SHIP`OWEN GLENDOWER'ON ESCAPES THE SHIP BELL WOULD RING. 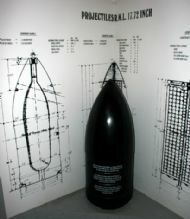 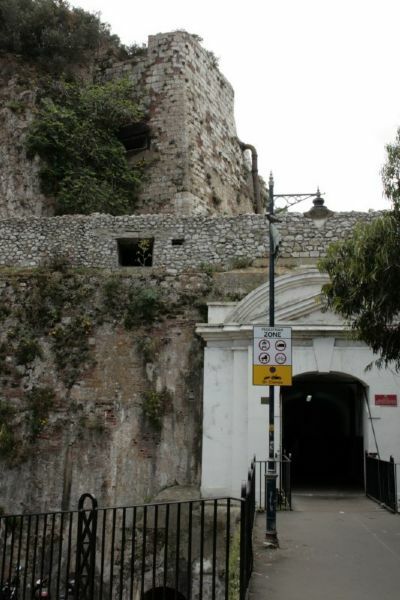 THE BELL IS NOW IN THE GIBRALTAR MUSEUM. 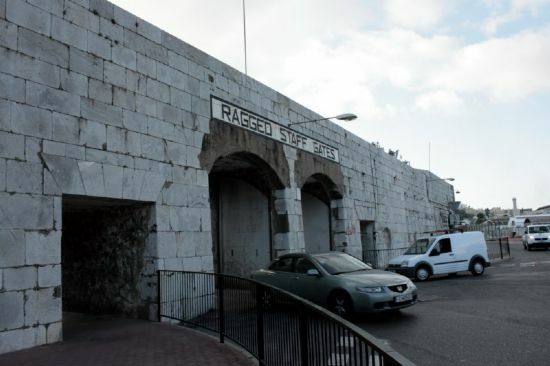 RAGGED STAFF GATES FIRST CONSRUCTED IN 1843 FOR FOOT PASSAGE FROM BOATS. 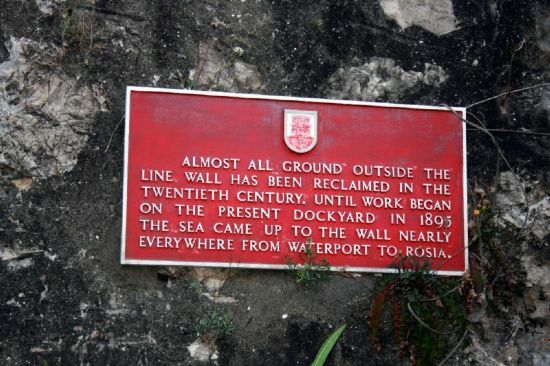 IT WAS CALLED "AN ILL CONDITIONED SPOT" BY MAJOR GENERAL SIR JOHN JONES. 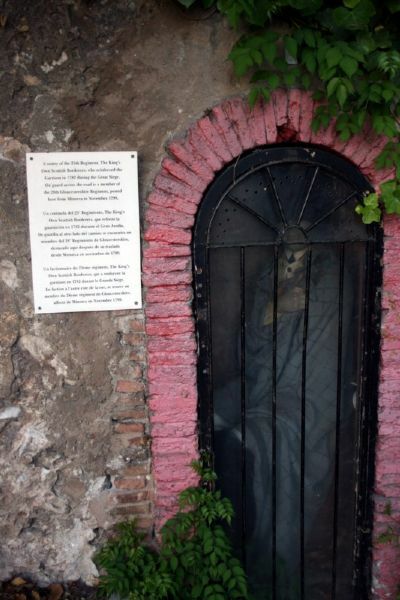 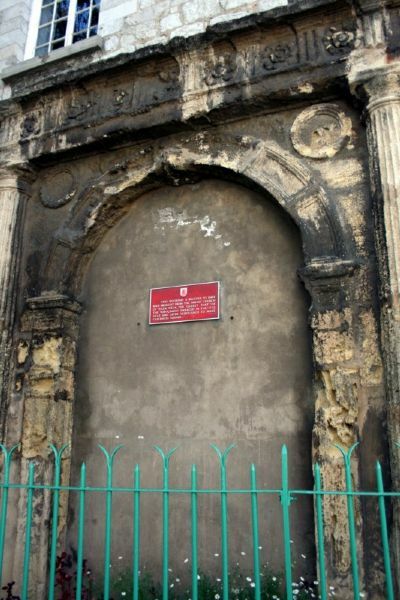 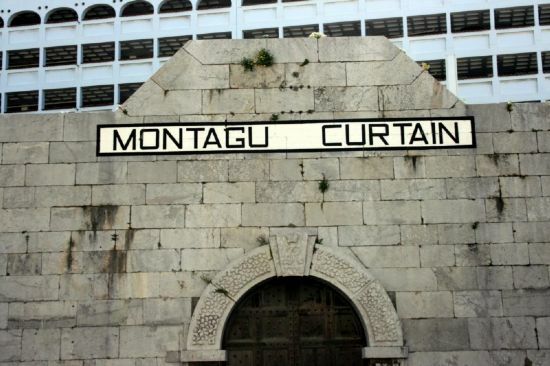 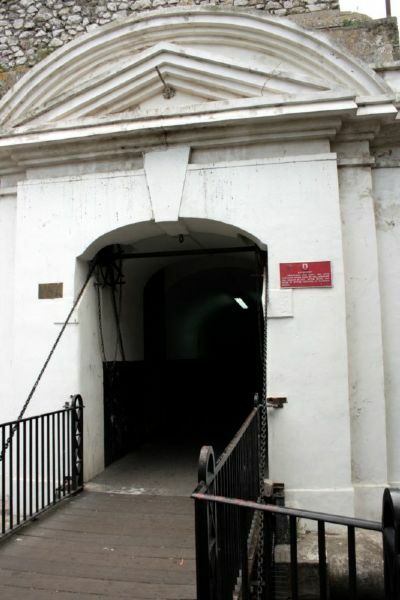 PLAQUE ON WALL READS- THIS DOORWAY IS BELIEVED TO HAVE BEEN BROUGHT FROM THE PARISH CHURCH OF VLLA VIEJA, THE OLDEST PART OF THE TOWN, BADLY DAMAGED IN THE 1727 SIEGE AND LATER DEMOLISHED TO MAKE CASEMATES SQUARE. REFERENDUM GATE AT SOUTHPORT GATES, BUILT TO COMMEMORATE THE 1967 VOTE TO RETAIN LINKS WITH BRITAIN. THE ORIGINAL GATE WAS BUILT IN 1552 AT TIME OF EMPEROR CHARLES V.
GUN AT SITE OF SOUTHPORT GATES. 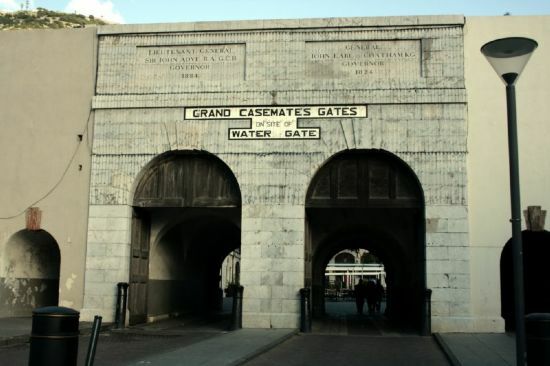 INSIDE OF THE SECOND GATE AT SOUTHPORT GATES BUILT AROUND 1883. 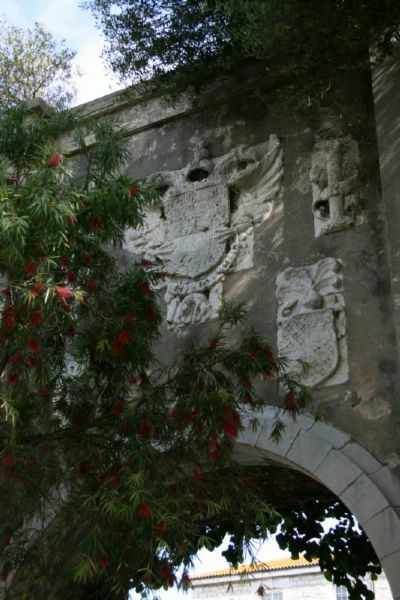 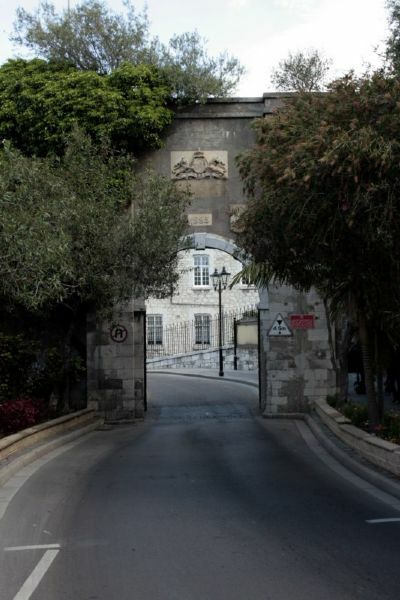 SOUTH SIDE OF SECOND GATE BEARING THE ARMS OF QUEEN VICTORIA AND GENERAL SIR JOHN ADYE A FORMER GOVERNOR OF GIBRALTAR. 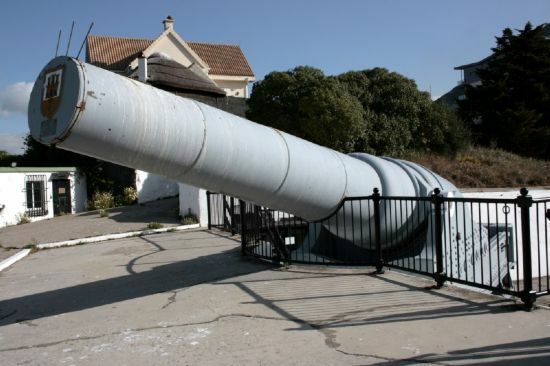 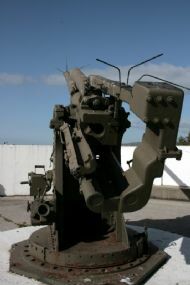 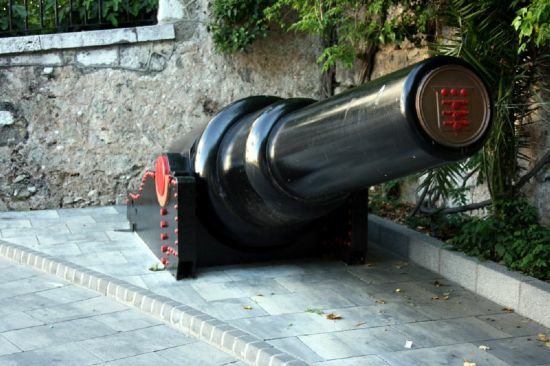 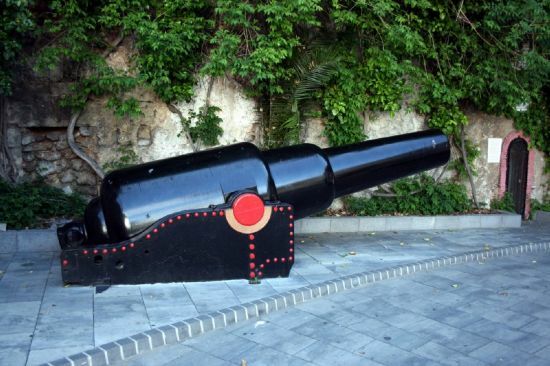 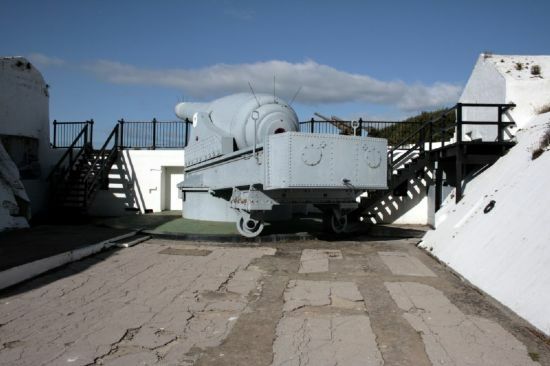 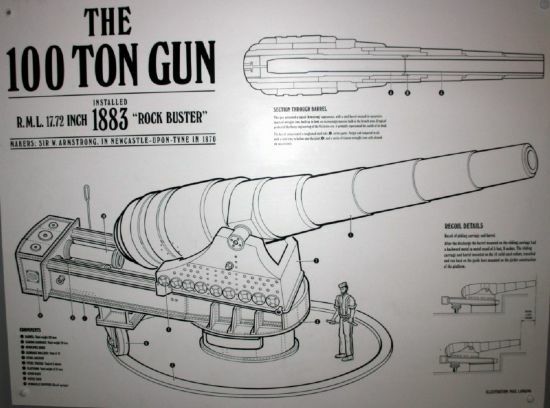 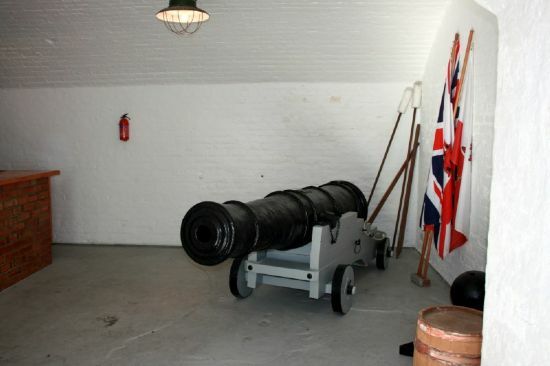 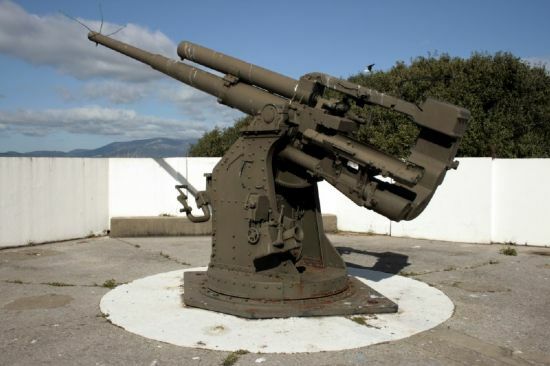 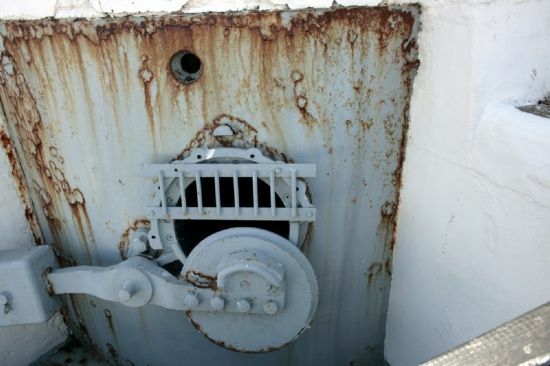 DETAILS ON 100 TON GUN, THIS GUN WAS INSTALLED IN THE 19TH CENTURY BUT NEBER FIRED IN ANGER. 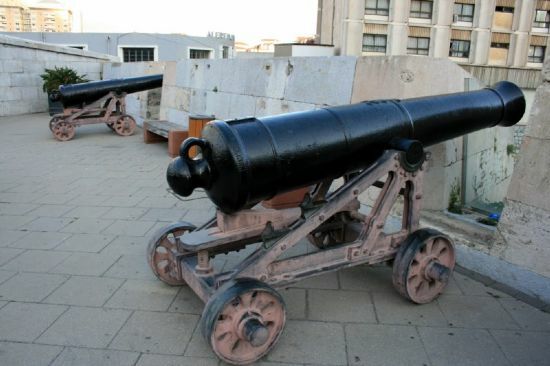 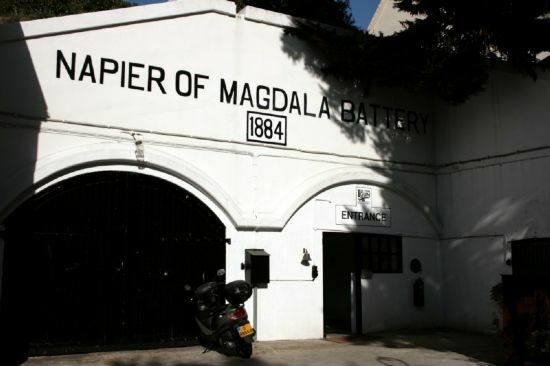 THERE ARE ONLY 2 LEFT IN THE WORLD, THE OTHER IS AT MALTA. 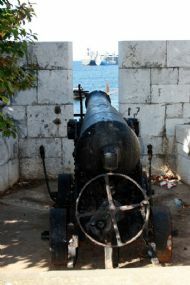 ONE OF THE PORTS AT SIDE FOR CHARGING GUN. 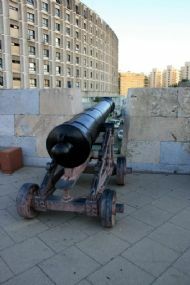 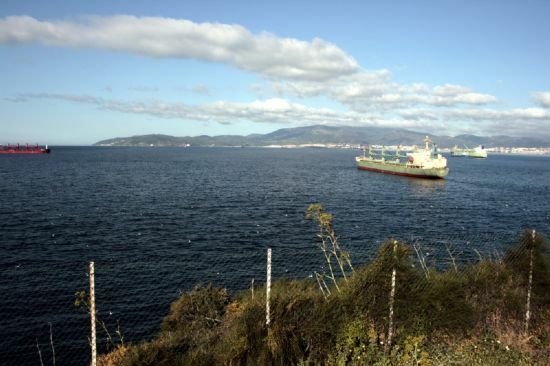 GUN WITH VIEW OVER TO SPAIN . 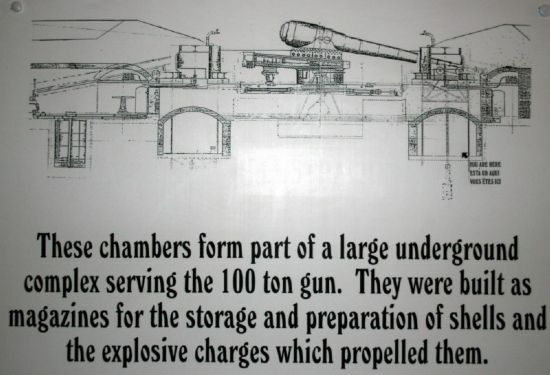 IT HAD A RANGE OF ABOUT 8 MILES. 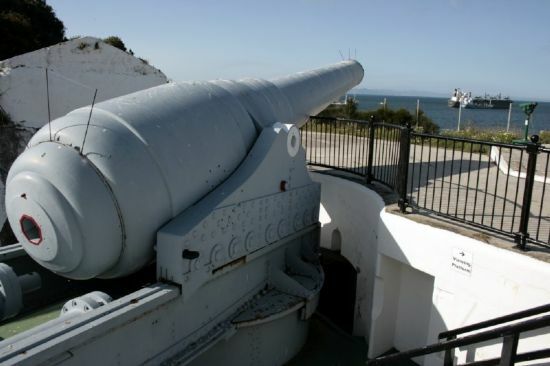 VIEW OVER BAY FROM 100 TON GUN. WW2 GUN NEXT TO THE 100 TON GUN. NELSON`S ANCHORAGE. 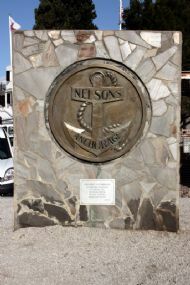 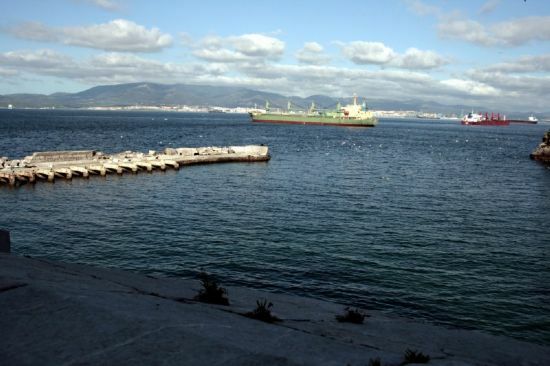 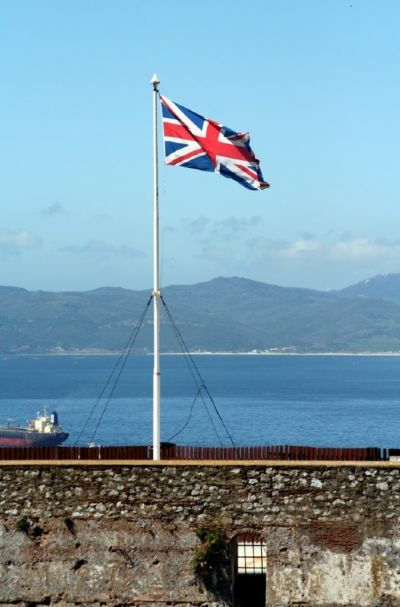 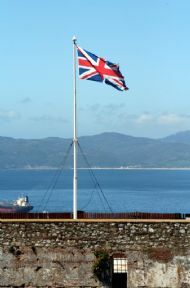 NEAR THIS MONUMENT IS ROSIA BAY WHERE NELSON`S SHIP THE VICTORY WAS TOWED TO AFTER THE BATTLE OF TRAFALGAR. 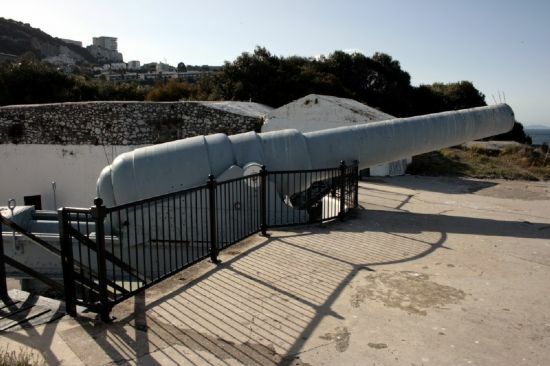 ROSIA BAY OVERLOOKED BY THE `PARSON`S LODGE BATTERY' DATING FROM 1875.WHICH HOUSED THREE 18 TON GUNS. 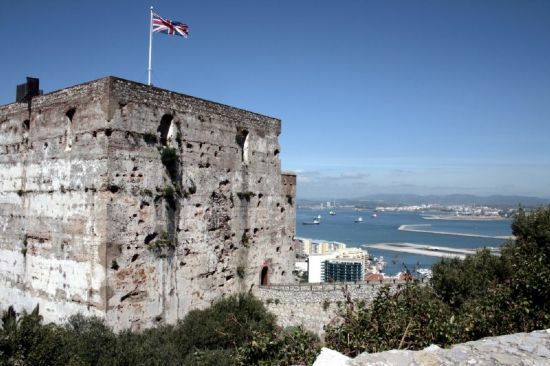 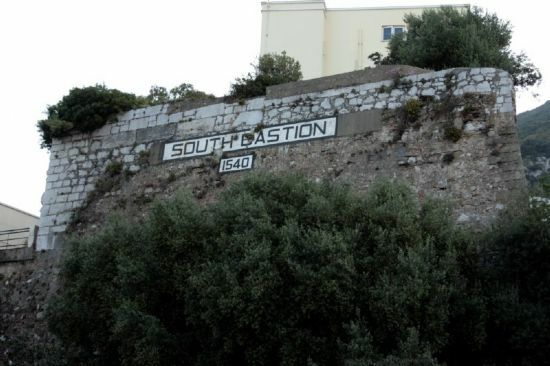 THE BRITISH BUILT UPON THE SPANISH FORTIFICATIONS. 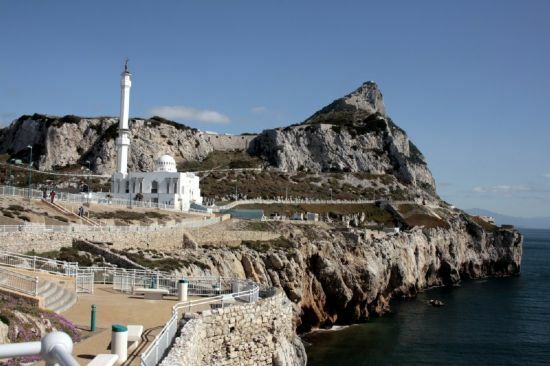 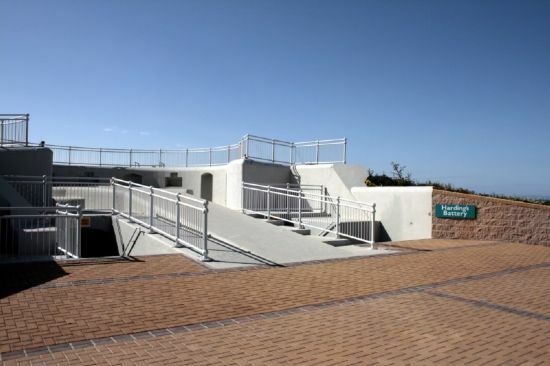 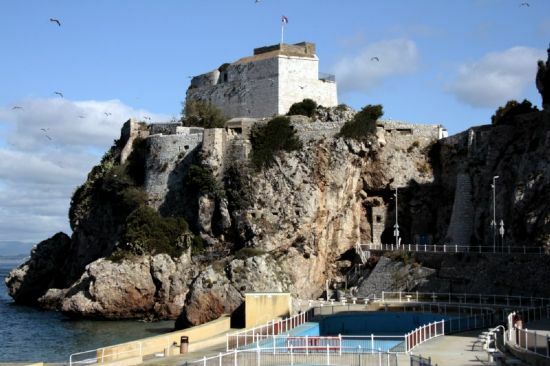 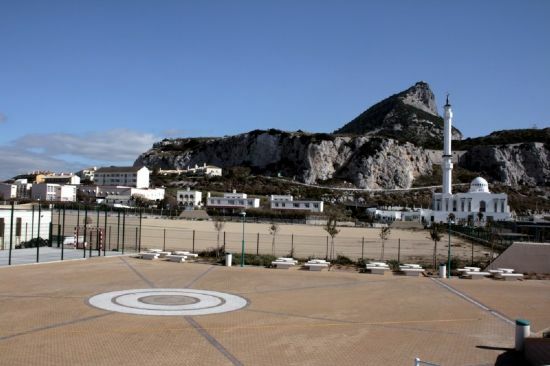 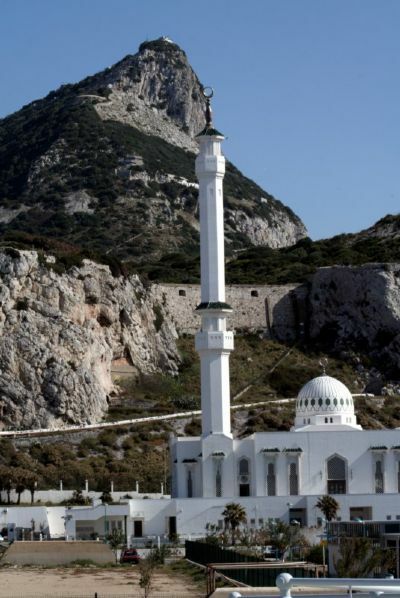 MOW IN HANDS OF GIBRALTAR MUSEUM AS CAVES AND UNDERWATER RESEARCH CENTRE. 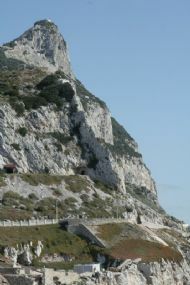 VIEW NORTH FROM BEACH, SOUTH OF PARSON`S LODGE. 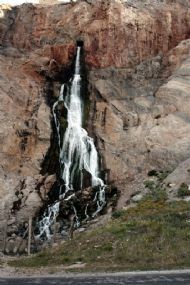 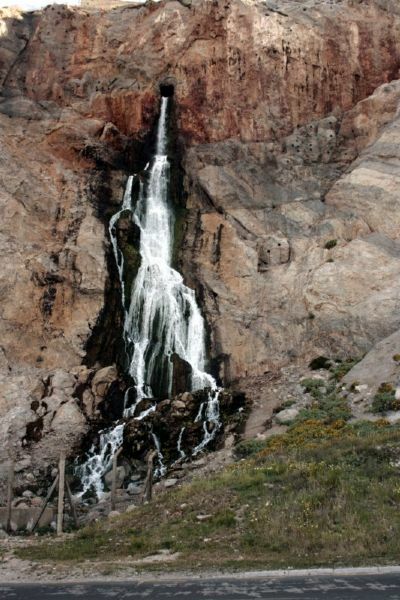 MAN MADE WATERFALL NORTH OF ROAD TUNNEL TO EUROPA POINT. 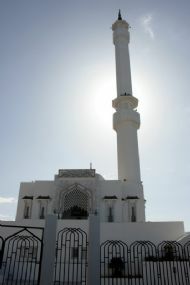 A SHORT DISTANCE AFTER EMERGING FROM THE ROAD TUNNEL IS THE MOSQUE BUILT IN 1997. 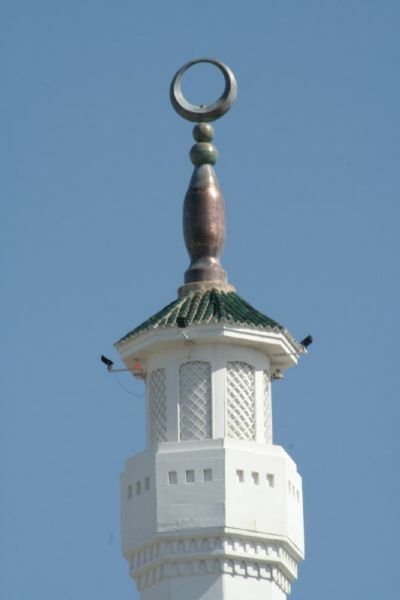 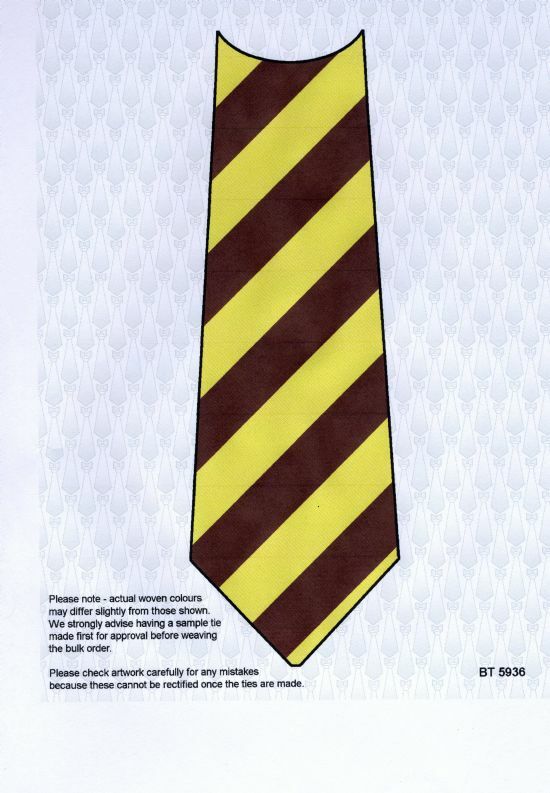 PAID FOR BY THE LATE KING FAHAD ABDUL AZIZ OF SAUDI ARABIA. 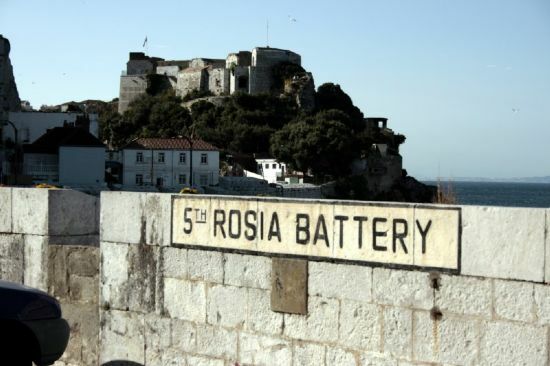 O`HARA`S BATTERY AT TOP OF ROCK. 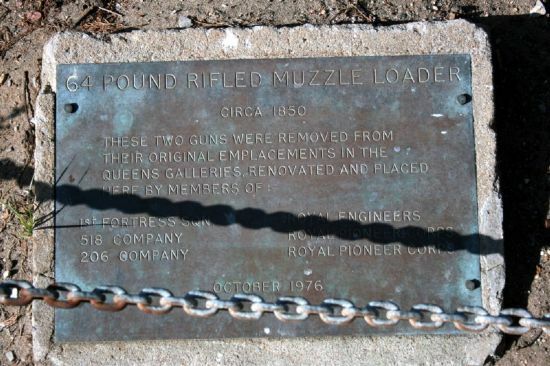 PHOTO SENT IN BY MICK LEEMING, FROM APRIL 1966. CORPS OF DRUMS IN SAME LOCATION AS FOREGROUND OF PREVIOUS PHOTO. 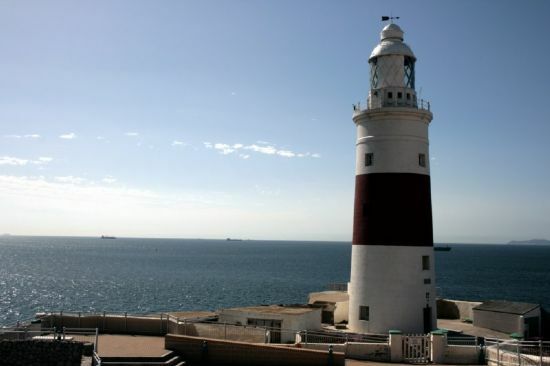 GIBRALTAR LIGHTHOUSE. 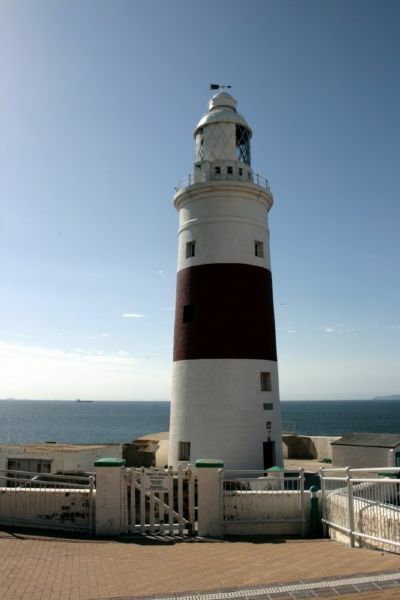 NOW FULLY AUTOMATED ONLY ONE REGULATED BY TRINITY HOUSE OUTSIDE THE UK. 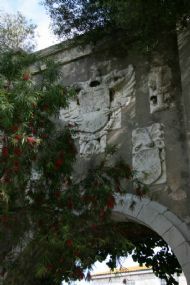 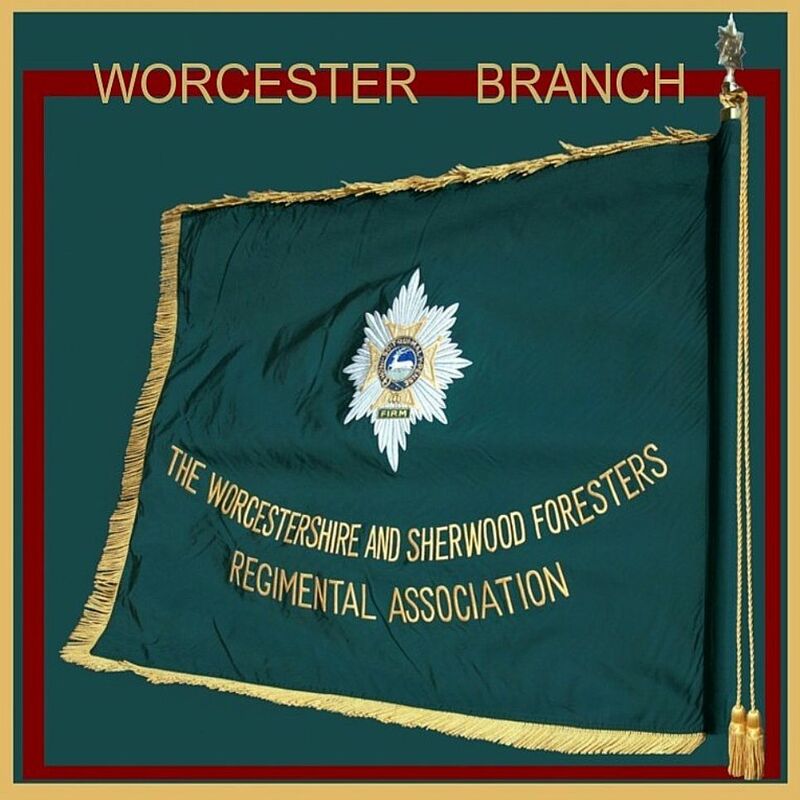 DATES BACK TO 1841.